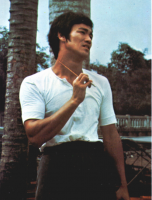 A manual of Bruce Lee in action, showing his training, technique and Jeet Kune Do combat. What is there to say that is new about Bruce Lee? A man, largely due to whom the term "Kung Fu" has become virtually a household word in the West. Ever since his untimely death, the Oriental martial arts have continued to grow at such a rate that they would seem destined to become a thoroughly integrated part of Western culture, adapted by each occidental to suit his own particular and individual needs. 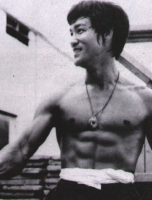 The legacy which Bruce Lee has left us then, is invaluable. Lee did much to strip away the secrecy around Kung Fu and in that spirit, we present this book that attempts to understand the Little Dragon, a man whose entire life was an enigma. We have tried to clarify the technique, and even scratch a little below the surface in an effort to obtain enlightenment. Indeed, Lee himself could best have summed it up, as he wrote, "Take what is useful, and develop from there...". 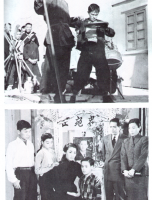 • Actor, Showman or Martial Artist?